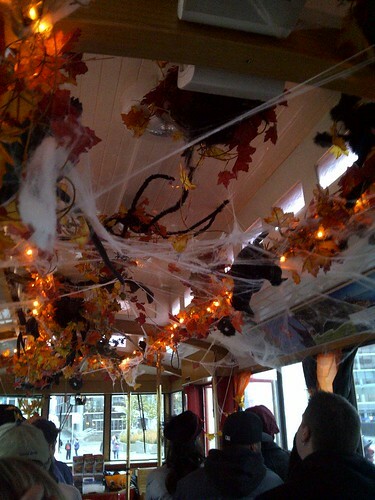 The Vancouver Trolley Company has put together a fantastic, spooky tour of Vancouver by Trolley that I would recommend to any lover of unsolved mystery, ghost story, or the secret gory past of the city. If such things give you chills – read no more! The tour kicked off with our lovely, ghostly hostess and tour-guide, and Slash, our driver. First landmark was the Hotel Vancouver. I won’t tell you who or what resides inside, but there were non-stop stories from there, through Stanley Park, and across the city and back. Many landmarks of the city and historical buildings are said to be touched by the supernatural, and even if you just take it in as stories, they are pretty fantastic stories. Then there’s the other side: the bloody history. This is the well-documented, photographed and reported-on events that have happened over the past 125 years, some stories which came right up to present day. 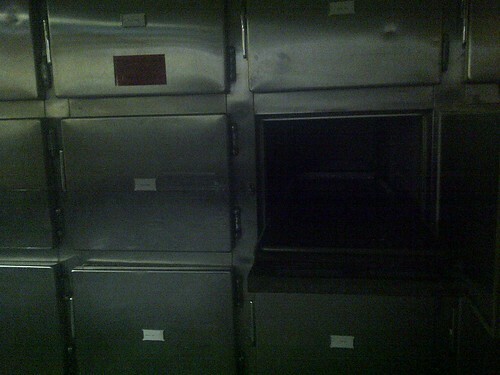 The stopovers at Mountain-view Cemetery and the Vancouver Police Museum’s morgue and autopsy rooms were great little excursions. The tour ranged from very funny, to deeply disturbing and heavy. Loads of young couples were on my tour, but it definitely ranged for quite a span. I would recommend this for anyone who wants a different take on the city, who is prepared to know where many bodies are buried and possibly lose out on the joys of some great picnicking spots. It would make a fantastic date and is better than a horror movie for sure. Disclosure: Jessica participated in the Vancouver Haunted Trolley Tour on a complimentary admission courtesy of the Vancouver Trolley Company, who also sponsored a giveaway I hosted a couple of weeks ago. No post was required, nor expected, nor did Jessica nor I receive any compensation. As always, I (Raul) retain full editorial control on anything posted on my site.